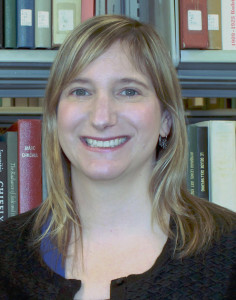 Joan Petit of Portland State University Library has been awarded a Fulbright U.S. Scholar Program grant to Ethiopia for the 2016-2017 academic year. Petit, an associate professor and librarian, will be based in the Information Science department at Jimma University, where she will teach and research. “It’s an incredible honor to be chosen as a Fulbright Scholar,” said Petit. She is one of more than 1,200 U.S. citizens who will teach, conduct research, and provide expertise abroad for the 2016-2017 academic year through the Fulbright U.S. Scholar Program. Petit will teach Information Science classes, train staff, and work with the Jimma University Library as well as conduct a research project focusing on open educational resources in Ethiopia. Open educational resources (OER) are course materials authored by faculty and made available online for free, for use and adaptation by other instructors at other institutions. However, in less economically developed countries, infrastructure limitations can be a barrier to the adaptation and use of OER. Petit holds an M.S. in Library Science and a B.A. from the University of North Carolina at Chapel Hill as well as an M.A. in English from Western Carolina University. She previously lived abroad for two years when she worked as a librarian at the American University in Cairo. She will be on sabbatical from Portland State University during the 2016-2017 academic year. Recipients of Fulbright awards are selected on the basis of academic and professional achievement as well as record of service and demonstrated leadership in their respective fields. The Fulbright Program is the flagship international educational exchange program sponsored by the U.S. government and is designed to build relations between the people of the United States and the people of other countries that are needed to solve global challenges. For further information about the Fulbright Program, please visit the Fulbright Scholar Program website.